This unit study is based on the book Chronicles of Narnia: Voyage of the Dawn Treader by C.S. Lewis and it was created by Amber Ballew from Missouri. Write a story about what you think is beyond the Lone Islands. Finish Lord Bern's story. Did Calormen make war with the Lone Islands? You decide. Read about Christopher Columbus and his voyages. 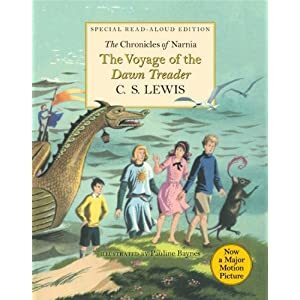 What similarities do you see between his story and The Voyage of the Dawn Treader? This site is a part of the FamilyClassroom Network of educational websites serving homeschooling families since 2001.